Raffle to raise money for our charity partner, Women’s Aid – with a chance to win our Fairtrade goodies hamper! Fairtrade fashion show … and much more!!! 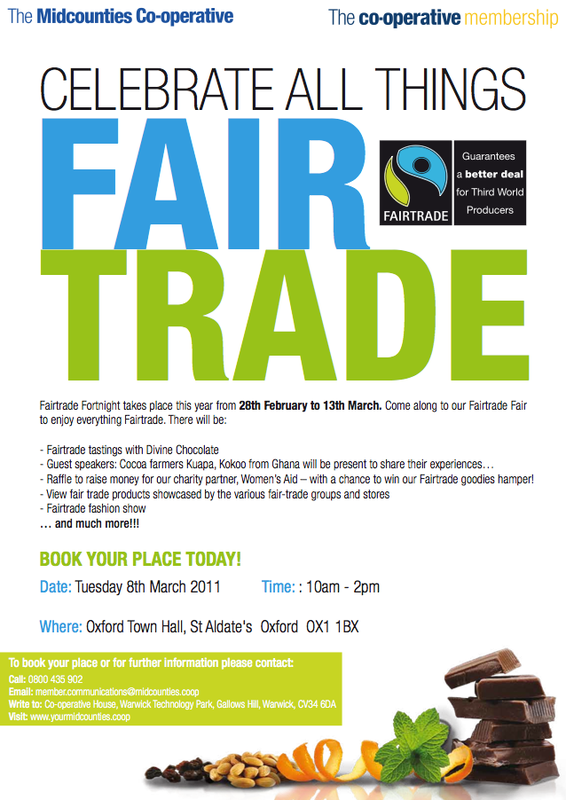 And if you have other events planned for Fairtrade Fortnight – let us know about them! This entry was posted on Thursday, February 10th, 2011 at 10:03 am and is filed under Uncategorized. You can follow any responses to this entry through the RSS 2.0 feed. You can leave a response, or trackback from your own site.